Leveraging on our vast industry experience and knowledge, we have been engaged in offering a high-quality range of SS Isolation Valve. These valves are ideal for medical healthcare equipment. 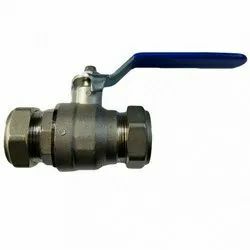 Further, our valves allow tight shut off which gives leakage proof functioning. In addition to this, quality testing of these valves is performed in accordance with set industry standards under the supervision of our quality controllers. Looking for SS Valve ?